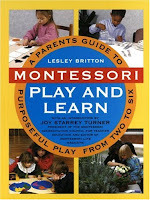 This was the first Montessori book I read and would recommend it as a good starting point for those new to Montessori. It is a short easy read that is not overloaded with too much Montessori information which can sometimes be overwhelming. Also a good introduction to the Montessori Method. The first half of the book would actually be good reading for all parents in general. It covers the importance of the role of the parent in the development of their children. It also offers good suggestions on how to make your home more child-friendly. A good book if you are interested in more in depth reading of the Montessori approach. Not technically ‘modern’ since it was written many years ago. However, the Montessori method hasn’t changed since, so this book still applies today. By the way, I found all of these books at our local library. I would suggest visiting a library and browsing through their collection of books in the subject. The library has been a great resource for me. Something I recently learned is that if my local library doesn’t have a book I need, I can request it and they will borrow a copy from another county library. I then get an email when the book arrives. How convenient! thank you so much for your suggestions, but what do I do in the case that my daughter doesn't want to sit through the counting and placing the pencils into the tubes, like you show in the picture? she is just way to active to sit through it, any advice? Yay! Thanks for the book recommendations, Glenda! Oh, and I agree with Clemencia. All this looks so ideal but I'm having a hard time imagining my high-energy 19 month old sitting thru any activity. I don't exaggerate when I write "high energy". I've seen her pay more attention at daycare, where she goes twice a week, than she does with me. Are there personalities that just aren't fit for Montessori, or maybe this is just what she needs?? If your daughter is new to the Montessori way of sitting and completing activities I would suggest that you start with simpler activities that your daughter might be able to complete on her own. You can also try to make the counting activity shorter, perhaps have her count from zero to five first and then gradually add numbers. You can also try to make a different type of counting activity that is more appealing to your daughter (rather than using pencils). By the way, the Montessori approach encourages that children have a variety of activities available to choose to from. And although we as parents can encourage what type of activities we would like our children to try, children will only choose and enjoy what genuinely interests them. Also, if a child does not show any interest in a specific activity or if an activity is too difficult to complete it is best to remove it from the shelf and try it again at a later time. My 22 month old son is also very energetic, and impatient. I will let you know that if I had discovered Montessori when my kids were younger I might have approached it a little differently. I would have still made changes to our home environment but I probably would have focused on more toddler activities, and maybe shorter class sessions. I must admit that our classroom environment is more tailored to my 3 year old daughter. Thankfully, my son has adapted well simply because he has followed his big sister’s lead. I suggest that you start by becoming more familiar with Montessori; you can then choose the elements that work best for your family. Let your daughter guide you and use your parental judgment when choosing activities. 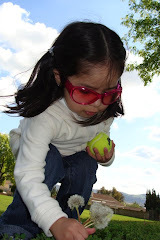 Completing even the simplest activities help kids feel a sense of accomplishment and independence. Your “high energy” daughter might surprise you. 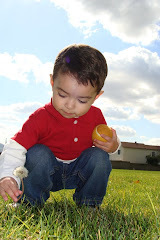 http://montessorimum.blogspot.com/ has great toddler ideas. This mom’s daughter is about the age of yours and she has labeled her posts by age. Also, another book you might want to check out is “Teach Me to Do it Myself” by Maja Pitamic.